Home > Vietnamese Cuisine > Why Obama chose Bun Cha Vietnam but not other dishes? Why Obama chose Bun Cha Vietnam but not other dishes? Bun Cha, before being served to President Obama in Hanoi, was honored by the foreign press as one of the most famous dishes in Vietnam. This dish is loved not only in Vietnam but enjoys plenty of praise from international guests. Bun Cha Vietnam was voted in 2014 by National Geographic readers as one of the 10 best street foods in the world. It's not complicated to make a bowl of Bun Cha, but to have tasty, well marinated meat… it's not easy. The well-grilled meat, still warm, fragrant, sweet ... is put quickly into the sauce to create Bun Cha unforgettable. Bun Cha was also added by CNN to the list of top 10 most delicious street foods in Asia and tops most 25 delicious dishes for summer. CNN believed that Bun Cha in Hanoi old quarter is an unforgettable culinary experience for international and even local travelers. Lonely Planet had rated Bun Cha as one of 12 attractive dishes that gourmets should taste if they have the opportunity to come to Vietnam. 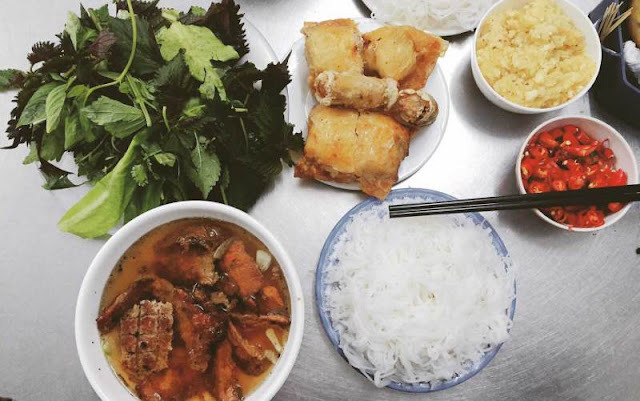 As described by Lonely Planet, sidewalk restaurants in Hanoi serve crab spring rolls with Bun Cha to become a really hearty meal for all the guests. Bun Cha - The famous traditional dish of Vietnam - is no longer strange for gourmets in many countries worldwide. One of the efforts to promote this traditional dish of Vietnam to international friends was the fair of Vietnamese gastronomy organized at the edge of the Vltava River in Prague of the Czech Republic. This event helped to promote Bun Cha in particular and Vietnamese cuisine in general in the world. From there, the cuisine and Vietnam culture with traditional dishes such as Bun Cha are becoming known internationally. 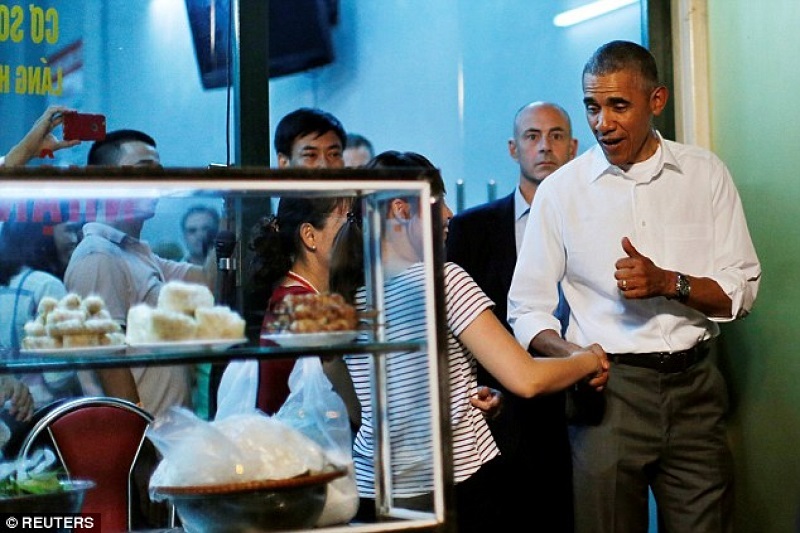 Bun Cha restaurant in Hanoi where President Obama ate in May 23 was created more than 20 years. Maybe thanks to international celebrity of Bun Cha and the history of this restaurant, Obama chose to eat Bun Cha Huong Lien during his official visit to the S-shaped country? Vietnamese cuisine has conquered the famous diners - US President Obama. And you, you are ready to experience the exciting food in your holiday in Vietnam?